Foodista | Win Denny's Grand Slams for Life with "50 State Challenge"
Denny's "Tour of America" limited-time menu has been back for about a month. But did you know there's an app for it? The free "50 State Challenge" app coincides with the "Tour of America" menu and is available for Droid and iPhone users to check-in at any Denny's location and earn some milestone prizes. 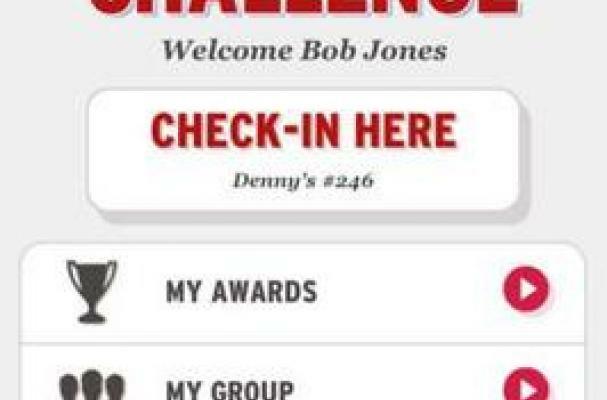 The first user to check-in to a Denny's in all 50 states within the challenge's one-year timeframe wins a lifetime of Grand Slams! According to a Denny's press release, the app interface also allows users to check out the full core menu, read up on the "Tour of America" menu, find the closest Denny's, and more. If you haven't been to a Denny's in awhile and don't know about the "Tour of America" menu, check it out here. Learn more about the app by reading the press release.